The lack of thiamine in wild animals leads to reproductive disorders, declining populations, impaired health and behavioural changes. This is shown from studies at the Department of Environmental Sciences and Analytical Chemistry (ACES), which has been investigating the presence of thiamine deficiency since the 1990s. The research has been highlighted in the scientific journal Trends in Ecology & Evolution. In the beginning of this year, the scientific journal Trends in Ecology & Evolution published a comprehensive review article, where 24 researchers list 117 threats to the global biodiversity. In this list, thiamine deficiency in wildlife is recognized as one of these serious threats. The article says that there is accumulating evidence that a large number of wild animals in the Northern Hemisphere – from mussels to fish and birds – show signs of thiamine deficiency, resulting in compromised health, altered behaviour, reproductive failure, and declining populations. These claims refer to investigations at the Department of Environmental Science and Analytical Chemistry (ACES), and the article concludes that more attention should be paid to the problem with thiamine deficiency. “Trends in Ecology & Evolution is one of the most prominent international ecological scientific journals, and their article is a great acknowledgement of our research on thiamine deficiency. I think of this recognition as another step forward in a growing awareness of the gravity of the current situation, where biodiversity loss probably is the largest of all threats to life on earth”, says Tomas Hansson, researcher at ACES. He belongs to a research group, which has studied adverse biological effects of environmental pollutants for decades. The group has studied deficiency of thiamine, or vitamin B1, in wildlife since the 1990s. In the beginning the focus was primarily on salmonids, but in 2004 the research was extended to include birds as well. In 2009, an article was published in PNAS, and in 2016 and 2017 articles were published in Scientific Reports. During a couple of years in the mid-1990s the fry mortality increased dramatically in the compensatory breeding facilities. As much as 50 to 100 percent of the females gave rise to fry that died, and research was initiated to find the cause. At that time, the Canadian researcher John D. Fitzsimons tried to treat lake trout fry with different B-vitamins, because he recognized the neurological symptoms as more suggestive of malnutrition than of poisoning. He found that the symptoms disappeared and the fry survived, when they were treated with thiamine, but not other B-vitamins. 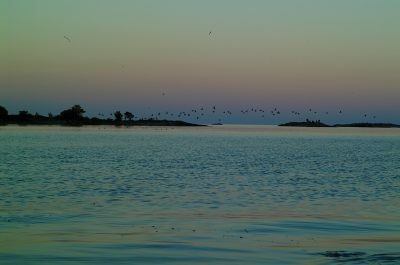 Around the millennium shift the number of reports about dead and paralyzed seabirds along the Swedish coasts started to increase, and 2004 the research group started to work full-time with thiamine deficiency in wildlife. 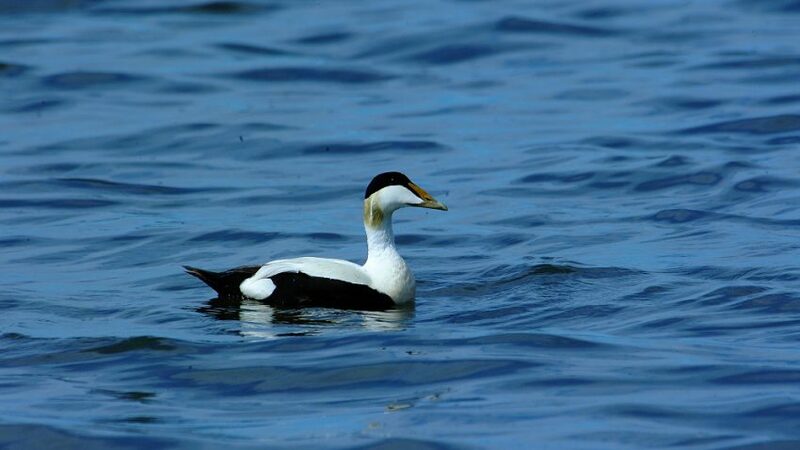 In another investigation, the number of common eider nests were counted every third year as a rule since 1910 in an area in the northern Stockholm archipelago. 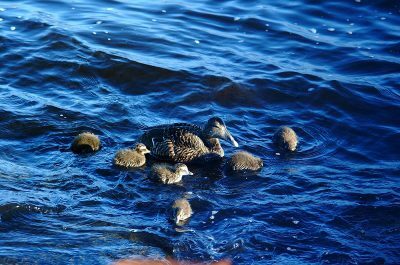 In yet another investigation, during the years 2010 to 2015, the researchers counted the number of common eider eggs, ducklings, and gatherings of females and their offspring at five islands in the Blekinge archipelago outside Sölvesborg. 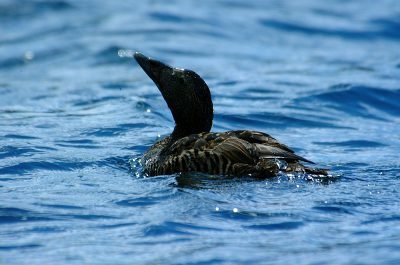 The investigation showed several evident abnormalities in the breeding output of the common eider: fewer eggs were produced, more ducklings died, and altered behaviour was common, both among females and their offspring. Thiamine is important in the basic cellular metabolism, the nerve system, and the brain. Thiamine deficiency results in both neurological problems and brain damage, among other things. So, what is the cause of the thiamine deficiency? This is the big question that remains for the researchers to answer. Because all thiamine in the food web is originally produced by the plants, and to some extent also by certain fungi and bacteria, it is necessary to analyze thiamine status of various plants. “It will require quite a lot of method development to adapt our methods to analysis if thiamine status in plants, but fortunately, our research group holds a broad competence. When studying thiamine deficiency, we work on all biological levels at the same time – from molecules, cells, and organs to organisms, populations, and ecosystems. This broad competence has been fundamental for the success in our research”, says Tomas Hansson.